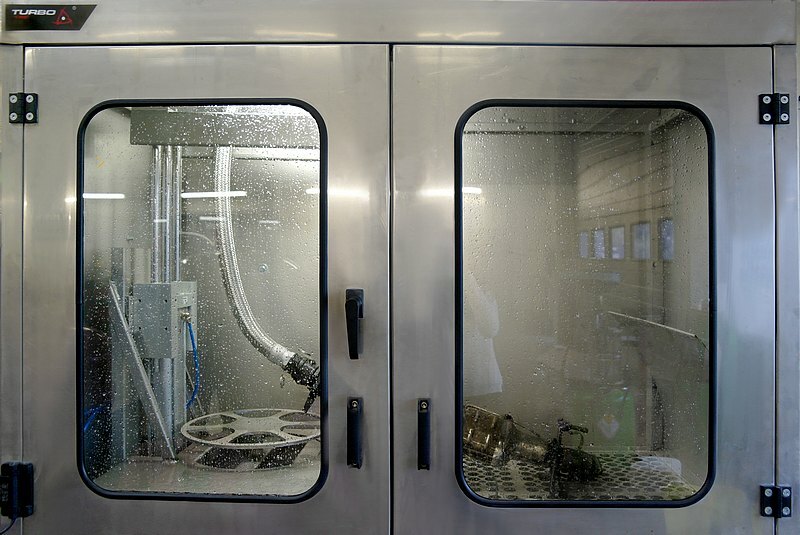 Professional cleaning of DPF, FAP filters and SCR catalysts. 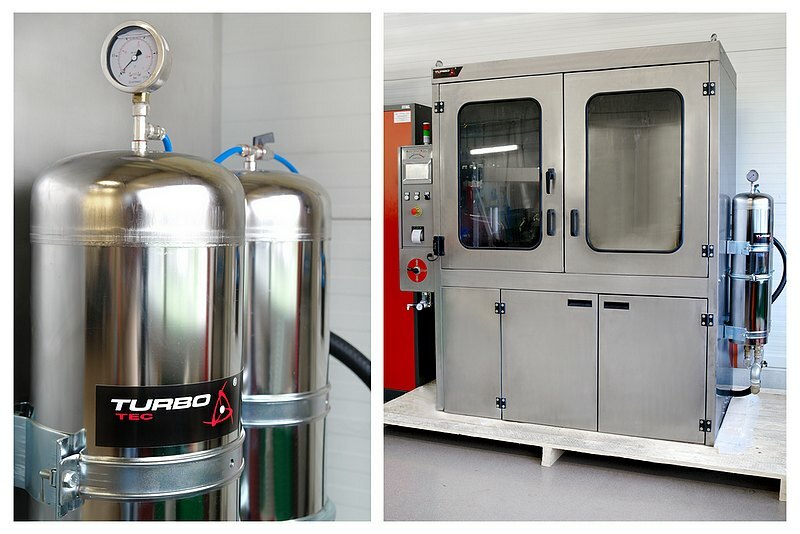 Our machine park has been expanded by another equipment – new technology line designed for cleaning the DPF, FAP filters and SCR catalysts. Thanks to its big dimensions, it allows to service the filters of cars, trucks, lorries, coaches as well as machines and utility vehicles. The only condition under which the filter can be received for repair, is a lack of mechanical damages, espiecially filter cartridge. The filter dismounted from vehicle is subjected to the cleaning process, in which the chemicals are used and also a water stream at proper temperature and pressure. Thanks to this, all of the PM10 particles, sediment from oil and cerium are removed (in case of FAP filters). This is very efficient solution that is not risking damaging the filter cartridge (what may happen while implementing cleaning methods based on high temperatures). Applied method guarantees restoration of the filter efficiency up to 98% without necessity of cutting it through or dismounting sensors from filter housing (they will be cleaned as well). The machine provides not only the possibility to make a measures of filter contamination level before and after cleasing cycle, but also printing the protocols with results of these measures, what enables us to rate the effectiveness of this process. For this service, Turbo-Tec provides 12 months of warranty. If there will be no possibility of effective cleaning of the filter, no fee will be charged for the service.